We at Royal Home Health Services are committed to your well-being. Our company has been known to create a partnership with our clients when it comes to developing the healthcare services that will meet the client’s unique needs. Our aim is to achieve the optimum level of your functionality. We are ready to provide you with the highest quality of healthcare services, even in the comfort and security of your own home. By providing healthcare services within your comfort zone, you are guaranteed to recuperate better. You can also stay together with your special people, family members and friends. Since we are one of the established and leading home health care providers in the industry, we have taken it upon ourselves to observe compliance to the guidelines and regulations set by the local, state, and federal laws. We also make sure that these regulations are incorporated into our policies and that our staff are well trained. 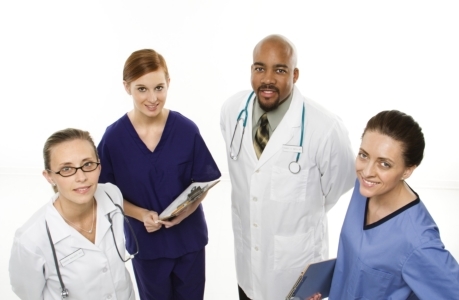 We take pride in the fact that we have the national quality approval of The Joint Commission. The center for Medicare and Medicaid has certified us and granted us the approval of providing services to its clients. Royal Home Health Services has also garnered the certification from the Illinois Department of Public Health. With a staff like ours, you are guaranteed a 100% customer satisfaction. This is because our staff of health care professionals are well-trained in their fields of expertise. Aside from their reliability, they are also compassionate and friendly. These traits are important so that they can get along well with you.